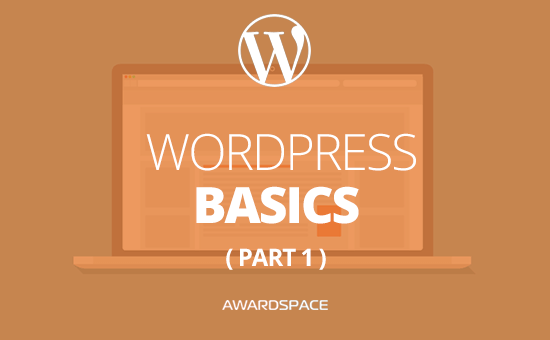 After we got to know the fundamentals of WordPress let’s explore the CMS a little deeper. Posts, Pages, and Categories are not everything WordPress offers, as you can imagine. In Part 1 of this preparatory tutorial, we talked a lot about content creating and organizing. But the content we are making should be nicely presented. Let’s examine the appearance a bit more. The last time we got familiar with the themes that WordPress operates with. And as you probably remember, their purpose was to roughly style your site’s appearance. What could you do to customize the website a bit more, after you’ve chosen a theme to your taste? Let’s find out! A Home Page is the page you land on when visiting a site for the first time. Its main purpose is to greet you and to tell you what is the site, you’ve just landed on, all about. Absolutely every site has a Home Page. You know, when you enter a website for the first time, there is a Page with the sole purpose to greet you, to help you make sense of where you are and what you could or should do from now on. How will you design your Home Page is only up to you. It could show your last Posts, to be a showcase of your business and what you do. Of course, it could even be the only page of the site if that serves your purpose. To create the perfect Home Page, you should find out what your customers would most likely expect to see when they enter your site. Then give it to them. Remember, for the user to get easily oriented on your website is essential. The header is the top portion of every website. It doesn’t matter if it is created with WordPress, Joomla or even if it uses a CMS at all. The Header is the place where the menus usually are located, altogether with the logo and some times other information. The header is the top portion of every website. More often than not, this is the place where the site’s logo is located. The logo could be accompanied by a menu, links to social networks, contact information or even image. As you can imagine, the header section is crucial for the orientation on the website. Of course, you could create a website where the header and the footer are not needed, but in most cases, you have to have them. The footer is the bottom part of a website. Think of it as the back cover of a book. In the well made websites, you can find a lot of information down there. The top menu (again, altogether with other information and pages, that never made it to the top, but had to be on the website). The sidebar is a part of the page that is located in left or right of the main content. The sidebar is irreplaceable in some cases. In others, you would want to remove it. For example, your home page most likely won’t need it. Same goes for the contact page and some other stand-alone informational pages. On the other hand, on the blog layout(or the place where the articles or your products stay) it could be very helpful. You may decide to leave only single pages in the main menu and the categories, the archive, the search bar etc., to be located in the sidebar. The sidebar, as you probably guessed already, is located on the side of your content. In most of the themes in WordPress, you can customize it to be on left, on the right or on both sides of the main content. Of course, you can remove it if not needed. Bear in mind that if well organized, having a sidebar is really beneficial. In WordPress the Widgets are function oriented blocks. They are usually located in the sidebar, but could be also be in the Header or in the Footer. Essentially, widgets are function oriented blocks. That means every widget that you add has its specific purpose. They could be added in all kind of places, but are most common in the sidebar. Where you can add the widgets differs from theme to theme. If the theme you are using supports sidebars you could be almost certain that it supports sidebar widgets. Placing them in the footer, in the header or below the content is another case. All the themes have a header, footer and content location, but not all of them will allow you to put a widget in those areas. So, if this is important to you, check if the theme you like allow you to use widgets in those locations. The menu of a website is the main orientation tool for the users to find out where they are, and where they can or want ot go. The menu could be located in the Header, the Footer, or the Sidebar. As we’ve just discussed the ease of orientation on a website is crucial. In order to achieve such a result, the menu(or menus) should be perspicuous. Users should be able to assume where will any of the menu buttons lead them. There are a lot of places where you can add a menu in WordPress. Those are the footer and the header, the sidebar and of course in the main menu location. Menus could be created by using pages, categories, custom links, even a particular post. The plugins could be(not officialy) interpretated as apps, or add-ons, that are including a funcionality to your WordPress that the default installation of the CMS misses. If you feel that your WordPress based site misses a functionality, that you need, you can be almost certain that there is a plugin that will come in handy. Plugins are crucial for every site, created with WordPress. In essence, they are a piece of software, that adds different functions or features, thus helping you to build a site, without any expertise in coding. Learn more about the posts in Wordpress!